Companies contribute to the development of the community in which they are located and constantly face new challenges linked to their environment. Corporate Social Responsibility (CSR) is one of those challenges because it supposes for the companies the integration of social and environmental objectives, together with the traditional economic objectives that allow them to establish a management model of their positive and negative externalities. However, CSR is not a new discovery for social economy companies. The values and principles of CSR have been present in the heart of the cooperative model since its origins. The main objective of this book is to analyze the role of CSR in companies of the social economy from different perspectives and sectors. This book compiles eight contributions from outstanding specialists who approach the theoretical analysis of supranational territorial spaces such as the European Union and the different lines of public action for the promotion of CSR strategies in social companies, including a study of national and local cases focused on banking, agro-industry and tourism. 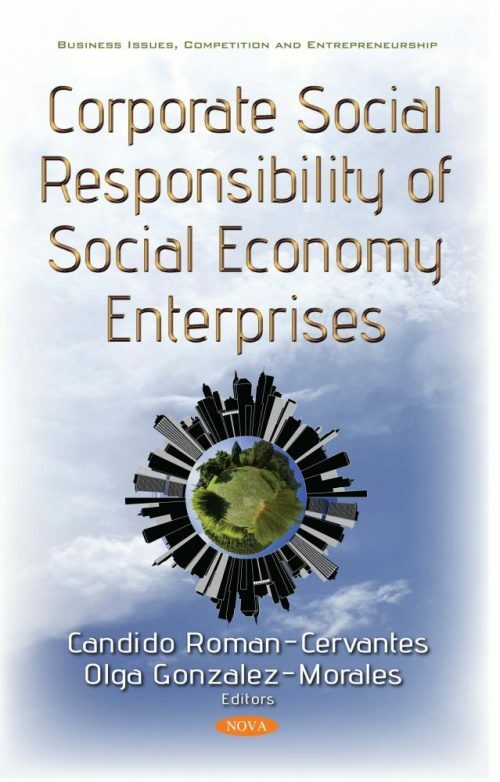 The authors of this book intend to show and interest the reader to a rigorous and varying panorama of the state of research applied to social economy companies and how they integrate CSR into their objectives.